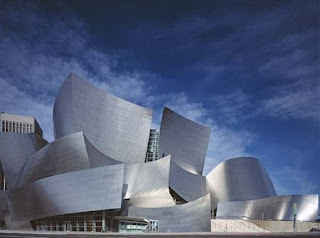 Visual Acoustics... A most beautiful metaphor coined by the great 20th century photographer, Julius Shulman while taking pictures of Frank Ghery's Disney Concert Hall in L.A. (Gosh, I wish I came up with that!) This building resonates and Shulman's single shot captures the music of Ghery's design. This is NOT a Shulman photo. I had been chomping at the bit to see Eric Bricker's documentary about Julius Shulman , a revolutionary photographer who achieved his own fame by documenting the greatness of others (primarily the buildings of mid-century architects like Frank Lloyd Wright, John Lautner and Richard Neutra). Even if you are not familiar with Shulman, you will certainly recognize some of his iconic images of 1940's and 50's Palm Springs, 1960's LA, and his famous shot of the Guggenheim dome. His pictures immortalize the mid-century movement and define how we perceive American modernism. 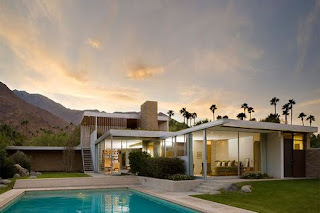 Julius Shulman was a man of staggering vision and talent. Bricker couldn't pull it off and tried to pack way too much into an 85 minute film. It just didn't work for me. Not to mention, the film didn't linger long enough on Shulman's lovely pictures which, to my mind, was the whole point. 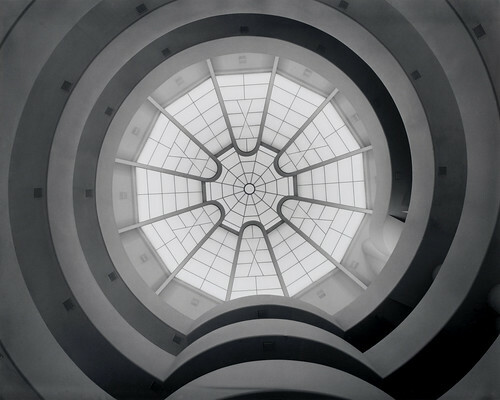 It took seven years to make the documentary, so I wonder if a little more time and editing would have done a lot more justice to the man labeled as history's "greatest architectural photographer." Overall, not impressed with the film, yet blown away by Julius, who died in 2009 at the ripe old age 93 doing what he loved most until the very end. One of the more touching moments was when the Getty staff came to haul away 60 years of work from his personal archive. It seemed bitter-sweet, but at least he had final say in where and how his legacy would continue. I admire Shulman's forward thinking and despite the mediocre film-making, I left the theater feeling inspired-and ready to buy that Palm Springs mid-century fixer-upper.